I’d like to open the March issue of Macomb Matters by wishing everyone a happy spring! While there is still a chance for flurries and cold weather, I’m glad for the opportunity to spend more time outdoors in Macomb County and hope you are too. The latest Make Macomb Your Home blog has some great ideas for enjoying Macomb County parks, trails and other outdoor places. Kudos to our outstanding Health Department for asking all county employees to get involved in celebrating National Public Health Week from April 1-5. I hope you’ll join me at the Macomb County Health Department Central Location in Mount Clemens for the one mile kick-off on Monday, April 1 at noon. Throughout the week, you’ll have a chance to join the conversation on social media. A special Move More Macomb Lunch and Learn called “Staying Fit While You Work” will be on Wednesday, April 3 from noon to 1 p.m. again at the Health Department Central Location. Lunch will be provided and space is limited, so email roneeka.pleasant-brown@macombgov.org to reserve a spot. If you’re looking to take part in an event with something for everyone, check out our 8th annual Sprint and Splash at Lake St. Clair Metropark on Saturday, June 15! Proceeds benefit the Huron Clinton Metroparks. And, especially for employees who want to walk, run, kayak or standup paddleboard, organizers are offering a special $5 discount code for you and your friends and family! Visit the Sprint and Splash for details and use the code “MacombEmployee19” for your discount. Another notable event is our HR Department’s annual “Take Our Daughters and Sons to Work Day.” The event will take place on April 25, so mark your calendars and stay tuned for more details on how your kids can get involved. Finally, we all know that spring is our most serious pothole season. I want to commend our Roads Department for the outstanding job they did over the winter. In this issue you’ll find two mentions of the work they do and the impact it has on all of us. For instance, you can read about Leo Ciavatta, a maintenance supervisor and 35 year county employee, or an instance where our workers prevented a sinkhole. You can also click here to access our real-time road projects map. We have a lot planned and this is the best way to stay looped in to what’s next. As always, if you want to report a dangerous pothole, fill out this easy request form or call the Roads Department at 586-463-8671. However you choose to enjoy the longer days ahead, thank you for all you do to make Macomb County a great place to call home. Meet Leo Ciavatta, a maintenance superintendent at the Department of Roads for just over 35 years! Leo began his career as a highway maintenance person, and over the years, he worked his way up through the ranks. He has inhabited a number of roles, including equipment operator, heavy truck driver and project leader. In his current role as maintenance superintendent, his many responsibilities include managing the maintenance budget for the Road Department, hiring outside contractors when needed, meeting with MDOT officials monthly and directing four maintenance service center garages and their employees. He also schedules meetings with MIOSHA and provides the media with updates on road conditions during adverse weather. "Leo is a great friend and co-worker," said Bryan Santo, director of the Department of Roads. "His knowledge, experience and work ethic running our maintenance department is invaluable. Leo goes above and beyond to get the job done and it is nice to see him recognized for his hard work and dedication." When asked what he found most rewarding about his career, Leo mentioned several things. “From a family perspective, I’m very fortunate that my career at Roads has given me a balance in my family life and work, fixed hours, weekends off and steady employment,” he said. “Those are important when you are raising a family.” He also stated: “As a public servant, keeping the roads safe and knowing that the maintenance department has improved the quality of life for Macomb County residents and motorists that travel Macomb County roads is rewarding.” Finally, he mentioned the many interesting people he has met and the friendships he has formed over the years while working for the Road Department. When Leo isn’t fielding his obligations as a maintenance superintendent or working for the members of the San Marino, he is spending time with his wife Sylvia, who he describes as “beautiful.” Married for over 30 years, they have three children. Their daughter Savana is an attorney who graduated from the University of Detroit – Mercy Law School. Their two sons, Santino and Angelo, are both at Ferris State University, seeking doctor of pharmacy degrees. Leo, who resides in Washington Township, graduated from Bishop Gallagher High School and attended Macomb Community College. When invited, Macomb County is pleased to participate in career fairs at area high schools. Robyn DiCristofaro from HRLR and Amy Lafnear of PED recently spent time with students at L'Anse Creuse's Pankow Center. Robyn focused on the wide variety of career opportunities offered by the county while Amy offered perspective on the high-demand careers of the very near future. To the everyday individual, sinkholes seem to develop out of nowhere. One moment everything is fine, and then the next, there’s a hole in the ground. But for Steve Lorway, an employee with the Department of Roads Clinton Service Center, there are warning signs that can point to a larger problem. And that knowledge resulted in the prevention of a sinkhole at 15 Mile Road just west of Harper. This quick action gave the county and city services time to close the road, backfill the hole with stone and patch the area. “We were able to prevent the hole from getting larger,” Jim continued. This is certainly important work that we can all appreciate. Macomb Matters would like to thank Steve, Jim and the rest of the Department of Roads staff for their quick response to the situation. Congratulations on a job well done! The U.S. Department of Labor Bureau of Labor Statistics recently reported that nationwide, employment in manufacturing is trending upwards. The news is especially good in Macomb County, where new jobs created in the sector topped the nation. According to a new report from the White House Council of Economic Advisors, workforce data by industry indicates that between the fourth quarter of 2016 and the second quarter of 2018, there were 9,118 new manufacturing jobs created in Macomb County. Overall, the county’s manufacturing workforce is driven by 1,600 companies that employ more than 72,000 people. The Macomb County Department of Planning and Economic Development played a key role in this success by providing assistance to businesses with goals for growth, specifically in the manufacturing sector. Over the past five years, department staff have provided direct service to more than 146 existing and incoming companies. These companies then invested more than $1.4 billion in new facilities and equipment. What will you miss most about working for Macomb County? What are you most proud of in your career with Macomb County? What are your post retirement plans? On behalf of the Macomb Matters team, congratulations on your well-deserved retirement Laura! OneMacomb recently hosted its first-annual Celebration of Black Excellence, a daylong event to honor and celebrate the long history and contributions of Macomb County’s black community. The February 23rd event featured a vendor and resource expo during the day and a ticketed awards gala in the evening. The vendor fair included 50 businesses and organizations selling wares and providing information. It also featured a panel discussion around issues in education, religion and health care with local experts. Roger H. Bunton, recipient of the Educational Impact Award: Roger was a longtime teacher within the L’Anse Creuse school district. He was also the district’s first black coach and likely the first black high school coach in the county. He now serves as the Mount Clemens city commissioner and mayor pro tempore, is the inaugural chairperson of the Mount Clemens Community Coalition for Youth and Families and is an active member of the North Broadway Church of Christ. Derrick Herring, recipient of the Business Impact Award: Derrick is well-known in the community for his successful business ventures, including his City Cuts barbershop, a construction and landscaping operation and Buck’s Cleaning Services. Rhonda Powell was also named as the first recipient of the Rhonda M. Powell Community Leadership Impact Award. This award will be given annually to a woman from Macomb County who has broken barriers in the workplace or as a community advocate and is a catalyst for change and impact on behalf of the community and those around her. Following the awards portion of the evening, more than 200 guests were treated to dinner and performances from local step teams, a choir from the Church of Christ Music Ministry and ballroom dancing from KC University of Dance. All told, it truly was a night to remember! John Paul Rea is the type of person who can easily answer any question about Macomb County. So if you’re looking for information on Fiat Chrysler’s latest investment in Warren, he can provide the details. Or, if you’re wondering what the zoning regulations are for Richmond, he’s got those specifics too. Even if you’re just hoping to find the best Italian restaurants in town, you guessed it – he knows the answer. You see, Rea’s knowledge of all things Macomb County is vast and his passion for the area runs deep. He’s spent his entire life here. Only a brief stint in West Michigan for college and grad school kept him away; but he came back and put his talents to work in the Macomb County Department of Planning and Economic Development (MCPED). “As I was figuring out what I wanted to be when I grew up, I always felt like I needed to do it in the place that has given me so much,” he said. Starting as an intern with MCPED, Rea worked his way up to the position of director. And now, he’s Macomb’s newest deputy county executive – a position requiring the extensive community insight that comes naturally to him. This teamwork mentality is something he fostered while with MCPED. Building a list of all of these accomplishments might be impossible, but for Rea, there are a few that stand out. These examples reflect why Rea first started working in government. He wants to help people. Now in his new role as deputy county executive, Rea envisions an even larger impact. Of course, some of those residents will likely have questions for Rea along the way. But as previously described, he’ll have the answers.  Since 1994, the Macomb County Board of Commissioners has worked to support local nonprofits through its Casual Day Program, an initiative that assists various agencies in the region that are dedicated to helping lives in Macomb. For example, this April, the program will support Helping Hands Gifts and in May, the Myasthenia Gravis Foundation will be the Casual Day recipient. This Shelby Township-based nonprofit has three main actions: connect, support and inform. Helping Hands Gifts connects businesses with opportunities to give products or services to charities and those in need. These connections are made through a network of organizations and by leveraging social media. The nonprofit supports charities through finding donations, volunteers, building space, promotional efforts and more. Through this support, Helping Hands Gifts aims to fill specific gaps. For example, through the Christmas Shop, families in need can find holiday gifts for their loved ones at little to no cost. Finally, Helping Hands Gifts informs the public about the good that businesses and charities are doing. It accomplishes this by spreading the word about positive actions of local businesses and organizations. For more information on Helping Hands Gifts, visit helpinghandsgifts.com. The Myasthenia Gravis Foundation’s main goal is to serve the needs of those with the neuromuscular disease by helping them learn more about it. The foundation also has a strong community network with regular support meetings held in Warren and Ann Arbor, a newsletter, a peer-to-peer phone network, an annual education symposium and social events. Additionally, the foundation supports research into the cause, prevention and cure of the disease and raises funds to facilitate further individual services and programs. In addition to the Casual Day Program supporting a single charity each month, there are also special Casual Days held throughout the year where different charities are the recipient of donated funds. On May 31, a special Casual Day will support the Anton Art Center. This nonprofit is located in Mount Clemens and provides community-based programming and artist support. To learn more about the Anton Art Center, visit theartcenter.org. The peregrine falcons, named Nick and Hathor, were first spotted on the county building in 2005. The pair’s first successful nest was observed in 2008 and since that time, the nest has produced 53 eggs and 26 hatchlings. In the years with successful hatchlings, Macomb County held ceremonies to celebrate and band the baby birds with the help of the Michigan Department of Natural Resources and The Detroit Zoo. This process was important, because in Michigan, peregrines are listed as an endangered species under state law and remain protected federally under the Migratory Bird Treaty Act. EarthCam is a global network of owned and operated live streaming webcams built to transport people to interesting and unique locations around the world that may be difficult or impossible to experience in person. The EarthCam installed on the Old Macomb County Building was given to the county free of charge. Save the date! Healthstyles of Macomb County invites you to participate in National Employee Health and Fitness Day with a Walk Around the Block on Wednesday, May 15. Come out and enjoy a scenic walk with your coworkers to promote the benefits of physical activity. Stay tuned for more information on this event including times and locations throughout the county. For more information on Walk Around the Block or Healthstyles email healthstyles@macombgov.org. Welcome to spring! This time of year is always exciting as the days get longer, green shoots start to sprout from the ground and the weather begins to warm. We even have a brief glimmer of hope that our Tigers might actually compete this year! Now as we all know, spring brings growth and renewal, and this is certainly evident in the HRLR Benefits Department since we just welcomed Rachel Chordash as our new benefits administrator. Rachel comes to us from Paslin, an automotive supplier located in Warren. Here she worked as a human resource employee benefit coordinator. Prior to that she worked in various HR roles for Olympia Group Post-Acute Care Network, a long term care organization that runs Father Murray Nursing and Rehab Center in Center Line. Rachel’s Macomb credentials continue with her living in Harrison Township, where she states that her sister is a “Kroger Celebrity” (ask her about this if you see her). She also graduated from Baker College in Clinton Township. All this makes her a true Macomb product. In closing, I’d like you all to know that we spent a lot of time finding the right candidate for this integral part of our leadership team. It should pay dividends in the short term, as Rachel has dug right into our leave processing and you should see immediate improvement in our response time. Please join me in giving a warm Macomb welcome to our newest addition. Welcome Rachel! Starting to make plans for your summer vacation? Don’t forget to check out the deals available to Macomb County employees through Perks at Work! From flights and hotels to rental cars and theme parks, get the best prices to stretch your vacation dollars. If your plans include a “staycation” this year, we’ve got you covered. Perks at Work has local deals as well, like admission tickets to The Detroit Zoo or the Sea Life Michigan Aquarium. By clicking on the “Eating” tab, you can find local restaurant deals, including $25 certificates for $5. Check out all the deals at www.perksatwork.com. Not a member yet? No worries! Just sign up with your personal email. The company code is Macomb78. This year, another $20,000 was raised at the March 2 Walk for Warmth event. Held at Macomb Mall in Roseville, organizers saw 130 individuals participate in the indoor 5k. Congratulations to Macomb Community Action on another successful event! For more information on the event and other Macomb Community Action initiatives, visit http://macombgov.org/MCA-Home. We’ll share an article detailing a county service within this newsletter. In the last issue of Macomb Matters, we covered the Human Services Coordinating Body and its MATRIX program, a resource designed to link Macomb residents to health and human services. Five employees that took our quiz were selected at random and received Make Macomb Your Home swag. They include Kathryn Lohr, Jane Blazejewski, Martha Brooks, Sharon Ling and Sue Camarata. The Comprehensive Housing Rehabilitation Program – which helps eligible homeowners repair their homes to achieve decent, safe and sanitary affordable housing as defined by Macomb County Housing Rehabilitation Standards. The program limit for repairs is $40,000. The Limited Housing Rehabilitation Program – which helps eligible homeowners make essential repairs to their home as defined by program guidelines. The program limit for repairs is $15,000. Inspection results and the cost estimate are shared with the homeowner and if costs to repair exceed program guidelines, the project is denied. If a decision is reached to move forward with the repairs, the project is bid to insured contractors. Staff will then recommend the lowest bidding contractor to the homeowner. Once the homeowner selects a contractor, mortgage documents are signed with the county. The homeowner also signs a contract with the selected contractor. Final inspections are conducted upon completion of construction. As long as the homeowner maintains the property as their primary residence and title does not change, the zero interest loan remains deferred. No payments are required. For more information on this program, please visit the MCA website. Now - think you’re ready to complete the ambassador quiz? Click here to get started and stay tuned for the next issue, where we’ll cover a new topic. Macomb County Animal Control (MCAC) entertained a surprise guest last November. E. Saletta, DVM, from the Michigan Department of Agriculture and Rural Development, stopped in unannounced and performed a “surprise” inspection. You’ll be pleased and proud to know that your Macomb County Animal Control is doing excellent work. In the final report, the inspector specifically commented: “This facility appeared to be kept meticulously clean, with good records, consistently followed standard operating procedures and close attention to detail. Management and the staff’s overall attention to animal care should be noted.” That is quite an accomplishment when you consider the number and type of animals that come into our care. In 2018, we cared for over 2,000 dogs and cats, as well as 60 “other” animals (including pigs, chickens, ferrets, rabbits, snakes, etc.). In addition to all the animals coming through, we also have many two-legged visitors. We get visits from pet owners renewing pet licenses (we now offer digital pet licenses! ), people interested in adopting and volunteers. We invite you to visit us as well – and unannounced is just fine! Our regular business hours are Monday through Friday, 10 a.m. to 4 p.m. You can see our facilities for yourself. If you’re looking for a worthy cause, please consider the MCAC. As you can see by the results of our inspection, we use our resources well and wisely. The resources invested in the care of these animals is evident in our exemplary scores. You can donate, volunteer, adopt an animal or foster an animal while he/she is waiting for its fur-ever home. Visit our website for more information Macomb County Animal Control. Also, if you’d like to keep in touch, please subscribe to our newsletter, “The Scoop,” by calling us at 586.469.5115. 3. Pat the chickpeas very dry with a clean towel or paper towels. They should look matte and feel dry to the touch.If you have time, leave them to air dry for a few minutes. Remove any chickpea skins that come off while drying, but otherwise, don’t worry about them. 4. Toss the chickpeas with olive oil. 5. Spread the chickpeas out in an even layer on the baking sheet. 6. Roast the chickpeas in the oven for 20 to 30 minutes. Stir them or shake the pan every 10 minutes. A few chickpeas may pop – that’s normal. The chickpeas are done when golden and slightly darkened. 7. Sprinkle the spices over the chickpeas and stir to coat evenly. Serve while the chickpeas are still warm and crispy. *MSU is an affirmative-action, equal-opportunity employer, committed to achieving excellence through a diverse workforce and inclusive culture that encourages all people to reach their full potential. Michigan State University Extension programs and materials are open to all without regard to race, color, national origin, gender, gender identity, religion, age, height, weight, disability, political beliefs, sexual orientation, marital status, family status or veteran status. This information is for educational purposes only. Tuesday, April 23; 7:30 a.m. – 10 a.m.
Saturday, June 15; Races start at 9 a.m.